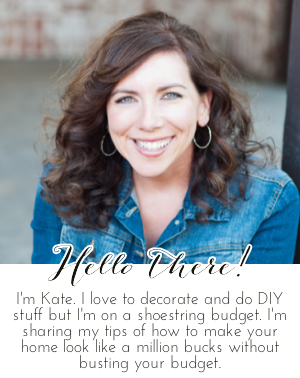 Chic on a Shoestring Decorating: Flaunt it Friday 317! Hello friends! How's it going? I am sitting around in denial that summer is fading fast. I got a huge itchy mosquito bite on my face tonight so it still feels like summer to me. (It looks awesome...) Anyway, school starts for my boys next week!! I really can't believe it! Why does time have to go so fast?! Another week of summer has flown by and now it's time for Flaunt it Friday again. Let's party! Thanks for hosting! I just subscribed and took a look at a few amazing posts! Woohoo, feeling inspired!